Some SHARP Cellular Phone User Manuals are above the page. If Sharp Aquos S2 little on the Essential Phone (Manuals PDF page), when you create a new model, the manufacturer is clearly inspired by the design of iPhone X (Schematics page). Even the shape of the cutout in the display subtly reminiscent of Apple's hot new product, a glass back panel and a vertical module Dual Camera only reinforce this similarity. But what about the slogan "be original"? Sharp promised to surprise the public with the most frameless smartphone, but from the Japanese we expected more. Though to be surprised - for some time now the mobile (and not only) business of the company runs Foxconn. 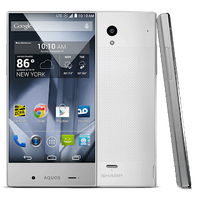 As regards characteristics, Sharp Aquos S3 receives a 6-inch IPS-display with a resolution of 2040x1080 pixels, the processor 660 Snapdragon, 4/6 and 64/128 GB GB internal memory. The main camera consists of 12 and 13 megapixel modules. The front camera is 16-megapixel, and it is not yet known whether the face recognition function will be supported. In any case, there is a fingerprint scanner on the back panel. The battery capacity is 3100 mAh. 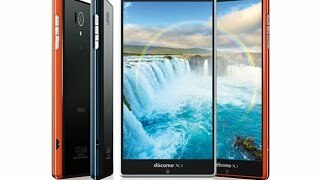 The Sharp company has released a new smartphone from the budget series called Sharp Pi. The novelty was equipped with a 5.2-inch HD screen with no newfangled aspect ratios. On the front panel is a mechanical "Home" button with a fingerprint reader built into it. The center of the filling was the 4-core MediaTek MT6737T processor with Mali-T720 graphics. In the work he is helped by 2 gigabytes of operational and 16 gigabytes of internal memory. The main camera Sharp Pi still corresponds to the fashion and received a dual module for 13 and 2 megapixel with LED flash. The front camera is 8 megapixel. Available Wi-Fi, Bluetooth 4.0, GPS and LTE. If desired, you can insert two SIM-cards. 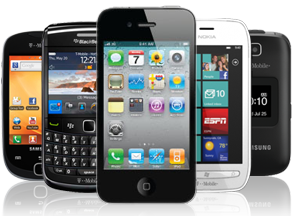 During the operation of the smartphone, a 3000 mAh battery is responsible. Dimensions of the device - 150.2 × 74 × 8.3 mm, weight - 162 grams. The smartphone Sharp Pi will be on sale with a price tag of $ 130.